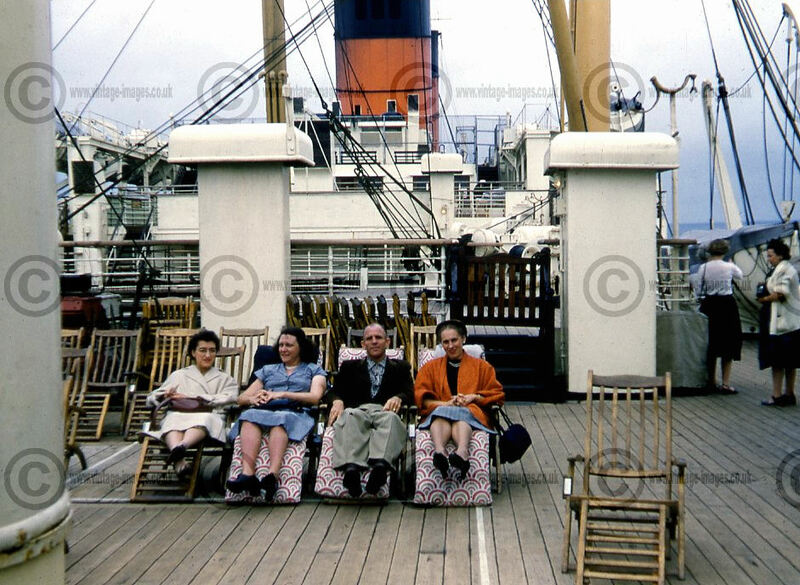 On deck on the RMS Mauretania in 1954, these four unidentified passengers seem desperately trying to look as if they are enjoying themselves on what appears to be a rather overcast day somewhere in the North Atlantic. The RMS Mauretania was launched in 1938 with the same name as the famous four stacker Blue Riband holder of 1907 which was scrapped in 1935) was the relief liner on this route and sailed when either Queen Mary or Queen Elizabeth were out of action for repairs or dry docking. 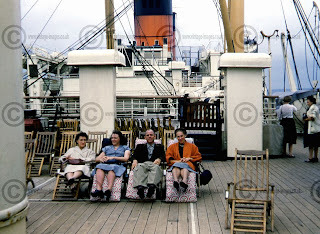 At this period in the 1950s The RMS Mauretania only operated the New York to Southampton route in the summer, cruising the West Indies and the Caribbean from new York in the winter. After our arrival in Southampton, the next few posts will concentrate on Britain.